The Syrian refugee crisis has been in the news for quite some time and has influenced one musician with a massive musical pedigree to write a song about it. 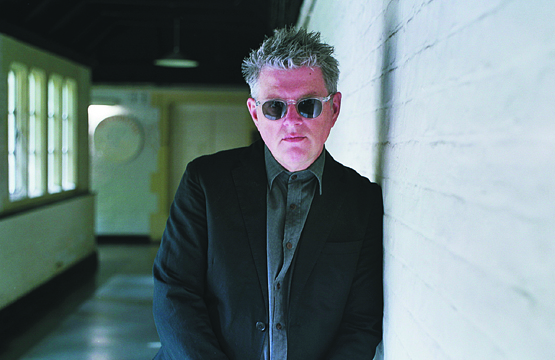 Tom Bailey was the frontman and main songwriting force behind the iconic 80's band the Thompson Twins and he is releasing a new charity pop single titled "Come So Far". The subject matter is about the refugee crisis and the accompanying music video shot by film director Sean J. Vincent contains images of refugees and a refugee family on their pilgrimage to a better life. Tom says this of how he came to write the new single "Like many artists, I respond to events in the world around me and, one day a year or so ago, I heard the harrowing story of a young man who had fled conflict in his homeland. On the advice of his mother, he attempted to make a long, dangerous (and illegal) journey across Europe to find a future free of the troubles which had beset his people. After three years, he managed to arrive in London. It was an almost mythically ideal destination for him, yet he struggled to come to terms with the shortfall between dreams of a safe and secure future and the harsh realities of his new life as an illegal immigrant." Tom has kept busy over the years since the Thompson Twins heyday with his projects Babble, International Observer, Bailey-Salgado Project and the Holiwater Project as well as producing other bands. In 2014 Tom returned to performing the Thompson Twins hits live after a 27 year absence with successful dates in the U.K. and a tour of North America. British music magazine Classic Pop recently awarded Tom 'The Best Live Show' award for his live concert performances in 2015 at various U.K. festivals. Tom is currently writing and recording more material for a planned album release in 2017. "Come So Far" will be available digitally on April 11th and will be released as a 7" single pressed on red vinyl on June 17th via Cooking Vinyl Records, with a B-side called "Dub So Far". Tom has set up a PledgeMusic campaign for the charity 7" single, each copy will be autographed personally by him, and all money raised by online digital sales as well as the profits from the vinyl release will be passed directly to Médecins Sans Frontières/Doctors Without Borders.